A listing of open to public Girlchoir performances. Mayor Michael A. Nutter and the Office of Arts, Culture and the Creative Economy (OACCE) announced the first grantees for the Performances in Public Spaces program. The program provides grant money to artists and art organizations to cover all costs associated with presenting performances in select parks and plazas across the city. 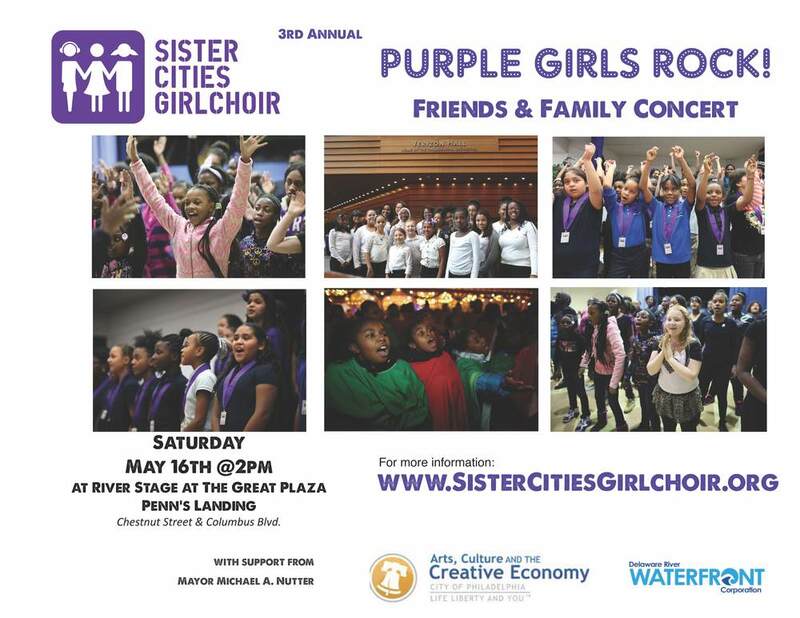 Sister Cities Girlchoir is pleased to be one of the recipients! Presented by the Center City District at Sister Cities Park, the girls performed a mini-concert to celebrate the opening of the Discovery Garden for the 2015 Summer season. 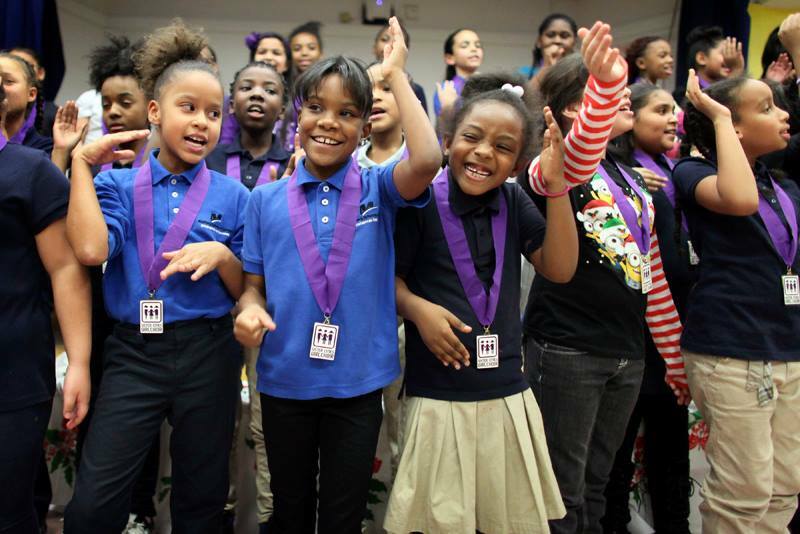 Monday, February 16 will mark the third annual day of arts education learning, fun and a combined performance among 250 young instrumentalists and singers from across the Philadelphia region. The Philadelphia Festival of Young Musicians (PFYM) is made possible through the collaboration of dedicated and respected community music organizations working in concert with the School District of Philadelphia. Girlchoirs from Daroff Elementary and Harrity Elementary join forces for a Winter Musical Menagerie! friends, fellow students and school staff. It gets better. Dan Savage’s three simple words reach into the hearts of our LGBTQ youth and inspire them with the message that darkness can give way to a brighter future. Over time, this credo has quickly evolved into a massive grass roots campaign going viral with over 50,000 videos (including President Obama and GMCLA) and amassing over 50 million combined views. The it gets better Tour takes this profound message one step further, as a small but dedicated ensemble travels to communities nationwide to produce a week of educational workshops culminating in a moving musical theater performance. The week highlights anti-bullying, tolerance and acceptance through community roundtable discussions, high school visits, it gets better videos, and creative exercises. Local choirs join the cast onstage for the final performance – an exciting and funny story with moments of both pain and pathos, featuring poignant narratives of growing up gay. Over 60 middle school Girlchoir members joined the thousands of citizens in the region in a day of service to honor Dr. King's commitment to community, advocacy and peace. Through this day-long series of community performances, the Girls inspired with their words and melodies and empowered all who heard them to raise their voices for a better world.